The Pond Doctor offers residential and commercial pond and water garden installation and maintenance services throughout Northern Virginia. Here at the Pond Doctor you will find everything you need to maintain the beauty and health of your pond or water garden. 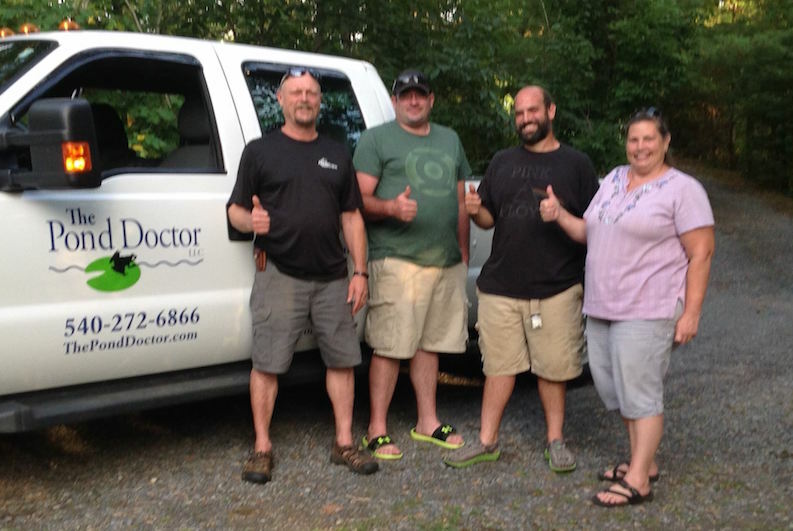 Many of The Pond Doctor’s customers have established maintenance contracts, allowing Mark and his team to return several times throughout the year to handle any maintenance needs. Others call when they have a crisis. Either way, the Pond Doctor is ready to serve. Maintaining your pond’s water quality is a major issue in the health of any pond or water feature. The Pond Doctor can check your water for problems and offer solutions. Every pond is an individual ecosystem, and many factors can influence water quality. A solution for one pond may not work for another. Filtration, aeration, and fish loads are only some of the factors that can affect water quality. The Pond Doctor will help you establish a healthy balance of fish, plants and technology that encourages good water quality. Most water gardens require an extensive spring clean-out. The removal of fall leaves and organic debris is essential to reducing algae blooms that feed on organic waste. This is a fundamental requirement if you have fish. The bacteria that are generated from the decomposition of this organic matter can be harmful to your pond and fish. The Pond Doctor has your pond in good hands. While the team works, your fish are safely removed and placed in aerated holding tanks. Your pond is then drained and cleaned of all waste and debris. The Pond Doctor uses a pressure washer to get the pond liner and your rocks clean and ready for a new season. 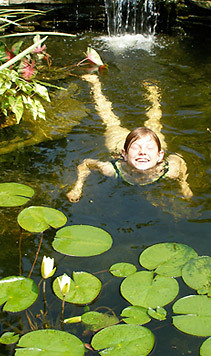 Once the pond is clean, the correct chemicals are added to re-start the pond, and the water is replaced. When the water quality and temperature are correct, your plants and fish are returned to their oasis. Nothing is more frustrating to a pond owner than leaks. The Pond Doctor can help find and repair most pond leak problems. Frequently the problem is small and can be repaired quickly. Sometimes the problem requires more extensive measures, such as the replacement of the rubber pond liner. The Pond Doctor will give you a full diagnosis and all your options. There are many issues that can cause a pond to leak. Deteriorating edges and unsettled rocks can be the culprit. 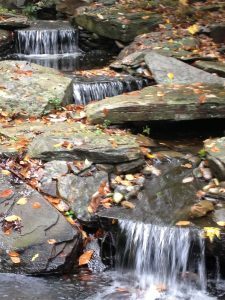 Waterfalls can cause leaks, too, due to the settling and damming of the water. And if not installed properly, even rocks and plants can be the source of your leak. Some of the trickiest leaks to find occur in streambeds that feed your pond. The Pond Doctor will conduct a full survey of your pond system, checking your connections and liner position, ensuring a proper elevation and seal, and evaluating other factors that may be the cause of your leak. The Pond Doctor can recommend equipment to improve your pond or water garden. 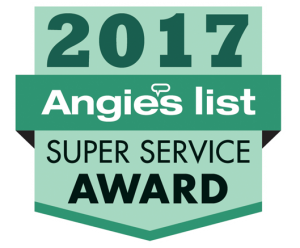 He installs and services all types of filtration systems, pond covers, even low-voltage pond lighting.